We examine in depth your Emotional Inner Aspect and Field (the body), as well as your energetic System of Connection. Welcome to Workshop Three of the ONA Workshop Series. In this workshop, we will study Connection, the third principle of ONA and the principle that underlies your Emotional Field and Inner Aspect, and System Three. All about your third System, Field and Inner Aspect. 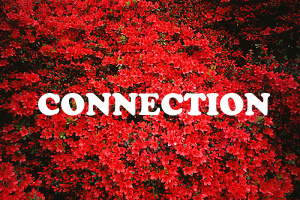 Connection is the physical form of Be-ing whose consciousness knows its own belonging, its connection to all aspects of the cosmos as a whole. The physical form of Be-ing is using all its connections, all of its aspects of wholeness for the highest good of all. The fundamental interconnected and interdependent network of all beings creates Systems of continuance that are eternal. Being, an animated intelligence that decides, preserves and pursues actions that create a positive supportive functioning system of connection for all is the process of this state of Connection. How to meditate using the Breath of Life. Because on this level you are addressing all living things, which include other people you know, plant life and animal life alike, let&apos;s learn the way in which you can connect with all life through breath. This is an essential breathing technique that allows you to make contact with other life forms on an energy perception level, as well as placing your consciousness with them and theirs with you. The &apos;sound&apos; of Connection and how to use it. The flow of energy between all of its parts to ensure eternity and wholeness of all. The flow utilizes all of these connections to create a functioning balanced aliveness. Aliveness is created through this open portal of connection to multidimensional eternity. How to perform energy therapy on an animal. You may perform an ONA session on any being that has given its permission. With plants and animals there is a language gap, but be as sensitive as possible to the being and do not continue if the being seems uncomfortable or distressed with what you are doing. A dog that tucks its tail between its legs and shivers when you come near, is not giving permission for you to approach, much less lay your hands on it. A plant whose health declines after you begin sessions is withdrawing its permission. How to make use of the Emotional Integration Technique. Emotions are a person&apos;s ability to act through expression based upon stimuli within its learning, intuition or within the body or the environment. These emotions are vital to the survival of the pathways in the body and proper absorption and distribution of chemicals and metabolites for optimum performance along all lines. This will ensure the continuity of the persons successful Connection. It has been well observed that a persons emotions can be altered by disproportional balance among these elements and chemical compounds. What has also been evidenced is the affect upon the distribution and flow throughout the body by using various emotions to stimulate healing and bring into balance those pathways thwarted by any number of patterns inherited or otherwise acquired.